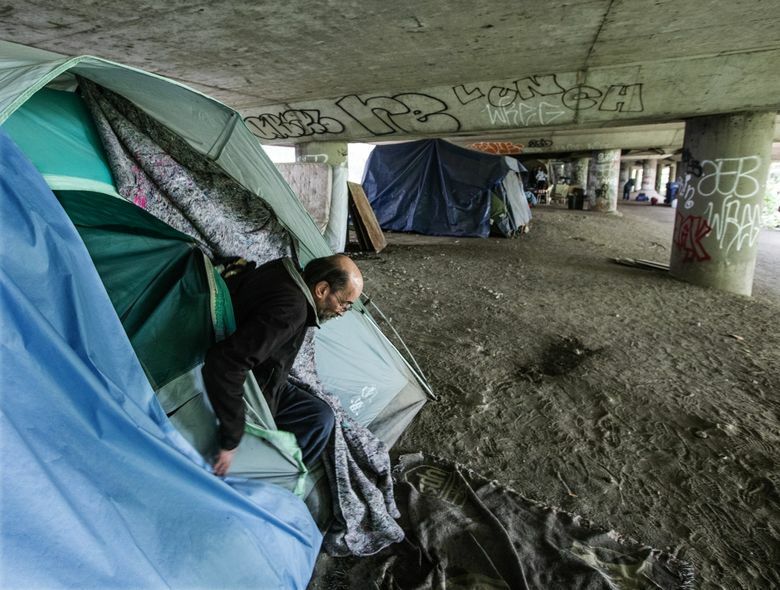 Seattle City Council members are considering adjustments to Mayor Ed Murray’s plan to clear people out of the homeless encampments known as The Jungle while cleaning up the area. 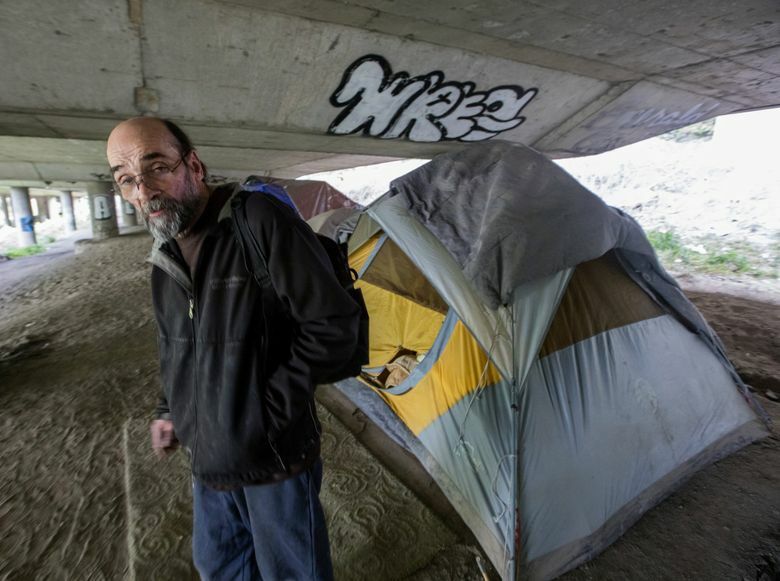 Seattle City Council members may try to slow down and build on Mayor Ed Murray’s plan to clear people out of the homeless encampments known as The Jungle over the next few weeks. Meanwhile, some residents of The Jungle took their own set of demands to City Hall, rallying as council members met, and outside Murray’s office. “Where are we supposed to go?” asked Kevin Newsom, 50, who’s been sleeping without a tent in The Jungle for the past three months. The plan Murray and Gov. 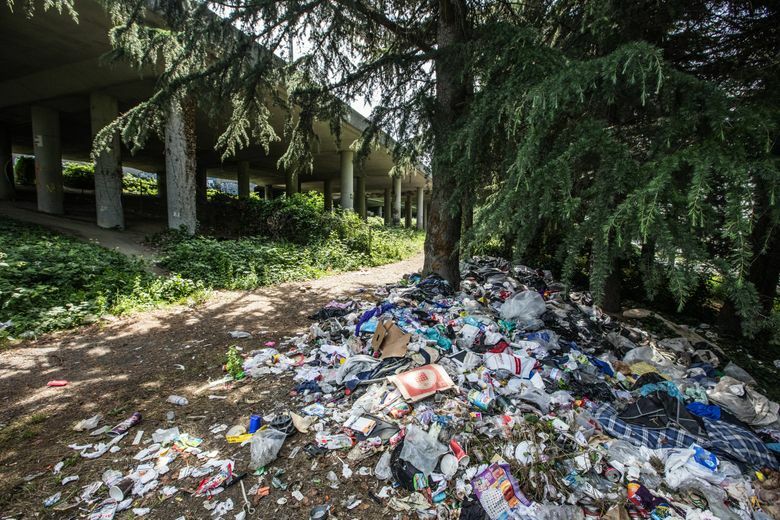 Jay Inslee unveiled last week calls for officials to get rid of health hazards like garbage and human waste while outreach workers from the Union Gospel Mission offer shelter and other help to the hundreds of people living in the encampments. 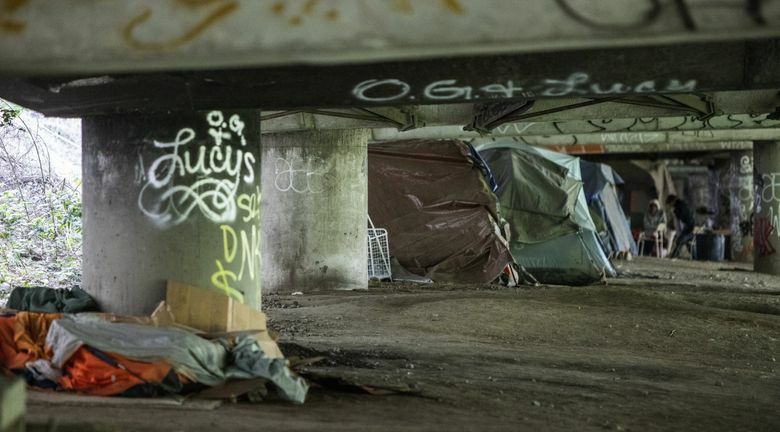 The Jungle, stretching under and along Interstate 5 between Sodo and Beacon Hill, has long been a troubled site and has been in the spotlight since January, when a shooting there killed two people and injured three others. Councilmember Sally Bagshaw, in an interview, said she and other council members have been discussing Murray’s approach. Bagshaw said the council members agree with the mayor’s plan to immediately clean up The Jungle and improve access for police- and fire-department vehicles. But she said some council members believe people living in the encampments should have access to portable toilets and garbage bins for the moment and believe Mission workers should have outreach help from other organizations. Bagshaw said more comprehensive planning and more conversation is needed before clearing out The Jungle to make sure people end up in shelters and housing rather than other dangerous sites outdoors. Councilmember Mike O’Brien, also in an interview, said he appreciates the mayor and governor for taking action but thinks Murray’s approach won’t work very well because Mission workers won’t be able to get hundreds of people inside and supported in the span of just a few weeks. Help for the Mission may come at a cost to taxpayers. The mayor’s plan includes city money and a $1 million allocation from the state’s transportation budget to pay for cleaning up the area, but the Mission is carrying out its role without public funds. During a weekly briefing Monday morning, Bagshaw said the mayor’s office is working with her and other council members on what to do about the encampments. On Monday afternoon, about a dozen people, including some residents of The Jungle, stopped by a council meeting with their demands. 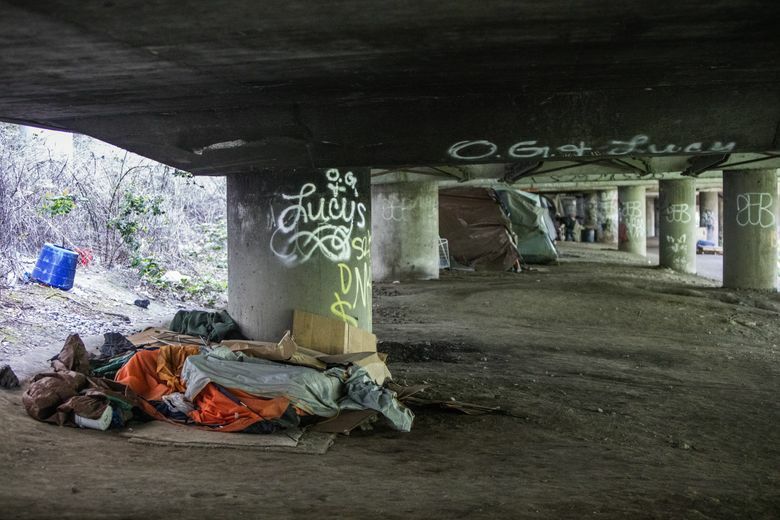 They said officials should stop sweeping people out of unauthorized encampments and should use the state allocation to provide living space in vacant buildings. Newsom said people there would benefit most from portable toilets and garbage collection, not displacement. “Let us advocate for ourselves,” he said. Murray’s public-safety adviser spoke briefly with the group outside the mayor’s office. A spokesman for the mayor offered no comment on the council members’ concerns. Mission president Jeff Lilley said his organization would welcome help from other groups. But he said he hopes the council doesn’t stop or rein the outreach that five Mission workers have begun. Bagshaw and O’Brien stopped short Monday of introducing legislation related to The Jungle.